View More In Warning Lights. 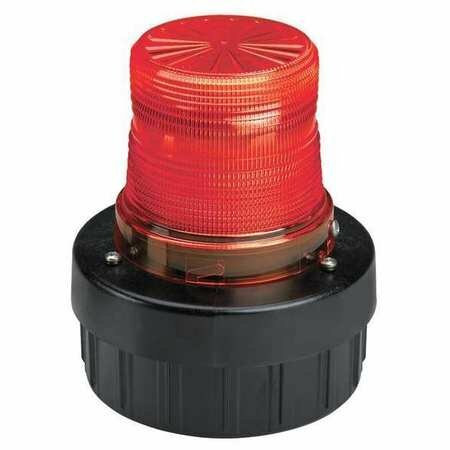 Warning Light, Color Red, Lamp Type LED, Flashes per Minute 60, Lamp Life 60, 000 hr. , Lens Design Twist Lock Dome, Lens Material Fresnel Dome, Mounting Surface, Operating Temp. -31 to 150 Degrees F, Power Source 120VAC, Current Drawn . 03A AC, Width 5. 76'', Height 6. 48 In. If you have any questions about this product by Federal Signal, contact us by completing and submitting the form below. If you are looking for a specif part number, please include it with your message. Snake Dock Light - BLL-GN Series; Light Type: LED; Length: 27"